Located in the deep south of France, Perpignan is the capital of the Pyrénées Orientales. Its geographical and cultural identity is turned naturally to Spanish Catalonia since it's a border city, looking out onto the Mediterranean coast and the highest mountains of the French Pyrenees at once. Perpignan is a busy place greatly influenced by Mediterranean cultures and benefiting from 2500 hours of sun per year - no wonder Salvador Dali saw it as the “Centre of the World”. Opening hours: Most shops are open Monday to Saturday from 9:00 am to 7:00 pm, but smaller shops may close at lunchtime (from 12:00 pm - 2:00 pm). Stores are usually closed on Sunday and public holidays, except for annual sales events. There are many things to do and see in Perpignan including cathedrals, castles, thermal springs and museums. For those who fancy active pursuits, the region offers a wide range of challenging outdoor activities – skiing, hiking or nautical sports. Built in the 13th century, it’s one of the most remarkable examples of medieval civil and military architecture in southern France. The main courtyard and its ensemble of Gothic buildings can be explored, but this majestic palace is worth a visit even just for the suggestive views of the city. This beautiful building was first named a church in the 14th century and later given status of Cathedral in 1601. Hidden gem in the form of a Gothic building, where the darkness and the presence of the organ and countless statues create a mysterious and solemn atmosphere. Admission is free. Situated in a typical 18th-century townhouse, the museum features rare and rich collections of art and cultural artifacts of the Oriental Pyrenees from the 13th century to the present, displayed in the permanent collection or in occasional temporary exhibitions. Standing at the crossing between the old and the modern city, this stunning castle used to be not only a city gate, but also a prison. Built by Guillame Gitard in the 14th century, today it isn't only an architectural monument, but often houses various temporary exhibitions. 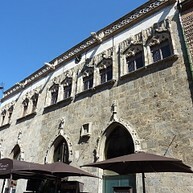 This beautiful private mansion in the heart of the Old Town is one of the few Gothic houses conserved in Perpignan, characterized by the illustration of the seven deadly sins. 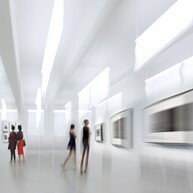 It’s also the house of Art and History of Perpignan and reveals many secrets of the city. The countryside has many interesting spots and villages worth a visit, such as Elne and its 2,700-year-old citadel, Riversaltes (renowned for its vineyards), or Saint Estève with its beautiful landscape at the edge of the Pyrenees’ chain. The coast has also some best-kept secrets, like the typical Catalan village of Saint-André. 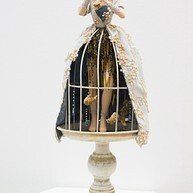 In this museum you will not only find 500 dolls, but also posters and photos of artists and television celebrities. The staff will receive you with pleasure but only by appointment. 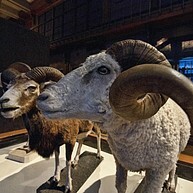 At this museum you can enjoy a permanent exhibition with rare and/or extinct animals of the Eastern Pyrenees including different bird species, great mammalians and African ethnological objects. Explore the exposition, and do not miss the Egyptian mummy from the XXIII dynasty. By the St John’s Cathedral you can find the only cloister-cemetery in France that has been classified as a historical monument since 1910. Built in the beginning of the 14th century, it also has an ossuary and the current building consists of 4 galleries about 54 m long each. 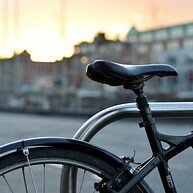 A fun way to discover the city is by bike. 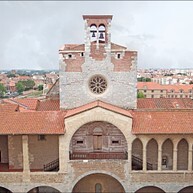 If you opt to take a guided tour, a guide will show you the most interesting attractions in Perpignan. Along the tour, which lasts approximately 2 hours, you will see the modern part of the city as well as the historical centre, all while having fun and working out. The local bike hire system is called BIP, stations can be found all around town. The garden on Rue Sant Vicens is a delightful place with exotic flowers, orange trees and oleanders - a pleasant green oasis within walking distance from Perpignan's major attractions. This is also a place to shop for ceramic pots and textiles on offer here. Couvent Des Minimes (Minimes' Cloister) was built between 1585 and 1620 and is located in the ancient Jewish district of Perpignan. 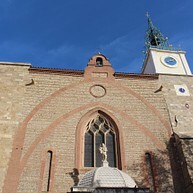 Here you will find a church with a courtyard and convent buildings. 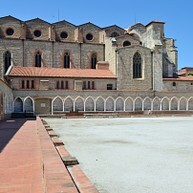 Exhibitions are held in the cloister all year long. 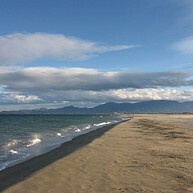 Plan a field trip to the seaside town Canet-en-Roussillon which is located only 12 km away from Perpignan. Here you can enjoy 9 km of beaches of fine sand, discover ruins and a castle or stroll around in the old town. In addition, there are some water sport activities available here such as windsurfing, beach volleyball, kayaking and jet skiing. You should not leave the Pyrénées Orientales until you have paid a little visit to this charming medieval village called Castelnou. It is located approximately 20 km southwest of Perpignan and is nestled at the base of Les Aspres foothills and the Canigou. Castelnou is truly a beautiful village with cobbled streets that offers amazing views from the Castle. 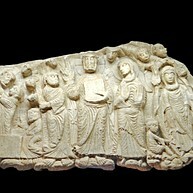 Nearby Perpignan, you will find Cabestany, one of its main attractions being the Centre de Sculpture Romane. If you're an art and history-lover you can't avoid paying a visit to this venue whose beauty rests in the sculptures of the Master of Cabestany.